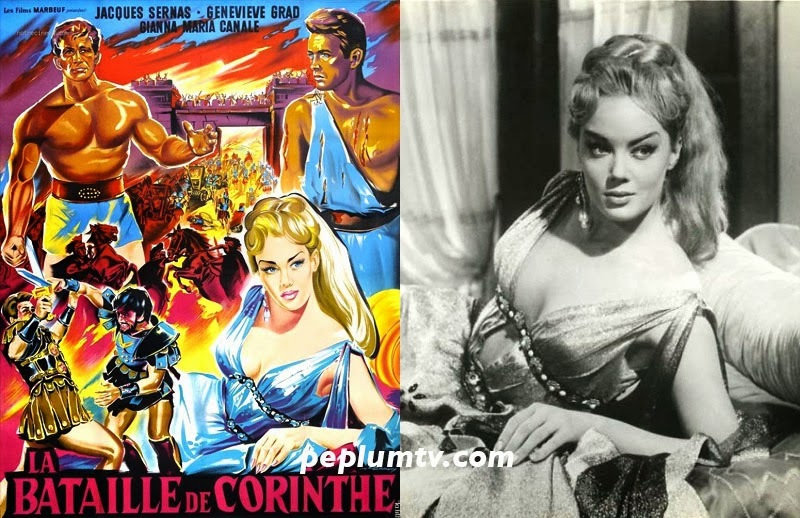 The French poster for CONQUEROR OF CORINTH used the likeness of Edy Vessel (right, from THE TROJAN HORSE) for the artwork of one of the film's posters even though she's not in the movie; Genevieve Grad is the blonde star of CONQUEROR OF CORINTH and she doesn't look like Edy, in real life or on this poster. Confusing. You have pointed out how they borrowed images from existing posters and usee them anew ... regardless of the stars involved!